Interior decoration is incomplete without painted walls. Proper wall decoration will surely enhance the beauty and aesthetic of your house. However, deterioration of the paint earlier to its rated life is considered as a failure of the paint. Various defects like wrinkling, blistering, flaking, etc. are usually observed in painting, either during painting or sometimes after the painting. Among them, efflorescence is one of the most common paint defects observed on the painted surface of your house. 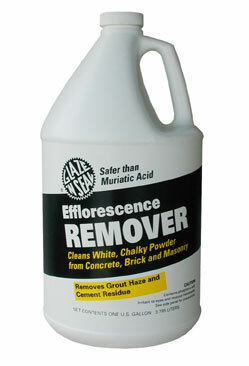 Efflorescence is the white (powdery) substance on the substrate of concrete, brick, masonry and plaster surface. The efflorescence, which is due to the migration of salts, can lift the paint film from the substrate. Therefore, you need to find the effective solution to remove efflorescence as soon as possible. To prevent efflorescence, remove all powdery substances and thoroughly clean the surface. Ensure that the surface is moisture free, clean and suitable for application of paint. Make sure joints and cavities are properly sealed. Give a long-time gap between plastering and painting. If the efflorescence is caused due to the excessive moisture, remove the source by repairing the roof, cleaning out gutters and downspouts, and filling any cracks in the masonry with a good quality sealant. If moisture is coming from outside walls, apply a waterproofing chemical to outside surface to remove efflorescence. Apply a suitable sealer and coating system which are formulated for concrete, masonry, etc. Remove efflorescence and all other loose material with a power brush, wire brush, or power washer; then thoroughly clean the surface. Apply a quality water-based or solvent-based sealer or primer, and allow it to dry completely. Then apply a coat of good quality exterior paint. The efflorescence defect may never be eliminated. However, this paint defect can be controlled and preventive measures can be taken to drastically reduce for its occurrence. Hence, apply the paint carefully after reading all the manufacturers’ instructions. Your painted surface of your house will have a defect-free life. Is My Plastered Wall Ready to Receive Paint? Previous PostPrevious What is Patchiness Defect in Paint?